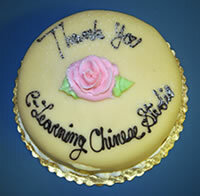 eLearning Chinese Studio is the best Chinese language learning program on the Eastside. 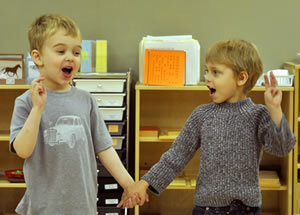 The studio is not just a bilingual "daycare" as many of the others are, but is an actual Mandarin immersion school where students learn the language by speaking and hearing it through their play and songs, just as native-speaking children do. There are several teachers who teach in the classroom at the same time, utilizing the Montessori method so that each child gets individual attention and teaching at their own level, as well as the benefit of a group learning environment. The teachers are incredibly kind, intuitive and knowledgeable of child development, teaching methods and teaching tools; and they apply these in the classroom every day. They treat my daughter and my family as though we are a part of their own family and we are excited to come to school every day. My daughter loves her teachers and the school so much that she even wants to go to school on the days when there is no class and when she is sick! Since enrolling in eLearning, almost two years ago, my daughter's Mandarin has improved dramatically. She is so proud of herself and always eager to learn more. I credit the teachers at eLearning for making learning fun and interesting. Now, when we go to a grocery store or park, my Caucasian daughter is confident enough to begin a conversation with native Mandarin speakers , who are always amazed by her great tone and vocabulary. They look at me and say "how does she know Chinese!" and I tell them, she goes to eLearning studio. I was looking for a school where my daughter would learn Chinese (Mandarin). At eLearning Chinese Studio I found what I was looking for... and more. The school implements the Montessori philosophy for teaching Chinese, giving the kids the opportunity to develop as a whole, while learning Chinese. The teachers from the school are very friendly with the kids (and parents :) ). They have many years of experience teaching Montessori philosophy which allows them to understand the kids (and the parents) very well. My daughter loves to go to school, because she "has fun with her teacher and her friends". I look forward to also have my son, now 1.5 years old, join the eLC Studio. We love eLearning Chinese Studio!! We visited many preschools for my grandson, before we decided on eLearning Chinese Studio. As a grandparent and former school principal, I was looking for a school that offered an effective and positive learning environment for our child, who is not a native-Chinese speaker. 2 students singing "2 tigers"
We chose eLearning because it offers full-immersion instruction by a native-speaker, in a caring environment. The teachers, administrator, and staff are all kind and professional. The teacher is highly trained and experienced, and a native speaker of Chinese. The curriculum is rich in content and varied in activities appropriate for preschoolers. Subjects taught include Chinese language, both oral and written; as well as science; math; music, and art. Students are taught to be independent learners and productive members of a group. The instructional approach ensures that students learn language in a natural way, engaging way. We are very happy with eLearning Studio. My grandson is beginning to teach us Mandarin!! My twin daughters are 4.5 years old. This is their second year in the Tadpole class. My husband and I are truly satisfied with their progress both academically and socially. My daughters went from not speaking a word of Mandarin two years ago to now being able to read simple Chinese story books. Besides learning the Chinese language, the school is also able to teach other areas of curriculum based on the Montessori philosophy. Because of the small teacher student ratio in the class, my daughters are given all the help and attention they need. They are not only taught to learn, but most importantly, to love to learn. Thank you, Ms. Zhuang for your passion to teach and thanks to all the staff at eLearning Studio for your hard work. We will see you next year. I'd like to let you know Lucy really seems to be enjoying her class. She asked why it was so short! A parent from one of our Tadpole class got other parents and the students together and made this lovely holiday greeting photo. We are really touched by the work everyone put into it. The caption on the photo says: "Dear eLearning Teachers: Happy Holidays! Thank you for making learning a fun adventure!" We thank you as well, for letting us be part of this adventure! When I was looking for a Chinese school for my daughter (who was about three years old at the time), I could hardly find any Chinese schools that offered programs for children under five years old. If the school offered classes for young children, it felt more like a day care center rather than a preschool. At eLearning Chinese Studio, the experienced teachers implement Montessori philosophy and educational material in Chinese. So the children are not only learning the language, but practicing their motor, creative thinking, and social skills as well. In addition, the small class size (maximum 10 students in one class) allows the teacher to spend more time with each child and personalize the instruction accordingly. The eLearning Chinese Studio truly provides a nurturing and loving environment for young children. I highly recommend the school to the parents who want their children to start learning Chinese at a young age. eLC is a very unique Chinese language school. Our daughter loved the Tadpole program and we as parents are relieved to see eLC takes a "whole" child approach to enable students grow socially, emotionally, intellectually and physically. Beyond learning Chinese, eLC offers opportunities for children to gain experience and understanding of the world around them. 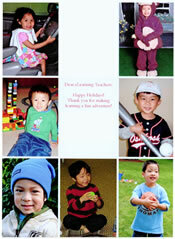 My son Jeffrey has been in the Tadpole class of e-Learning Chinese studio before he turned 3 year old. His language skill improved after only two weeks of school. When Jeffrey talked to the grandparents in Taiwan over the phone, even they noticed his progress in speaking Chinese! After a few months of the school, he learned how to focus and finish a job independently. He even showed us how to hold the pen and draw a line or color inside of the circle! Most importantly, he loves e-Learning! He wants to go to school every day! The teaching staff is excellent in e-Learning. Thank you! Copyright © 2007-2014 eLearning Chinese Studio. All rights reserved.